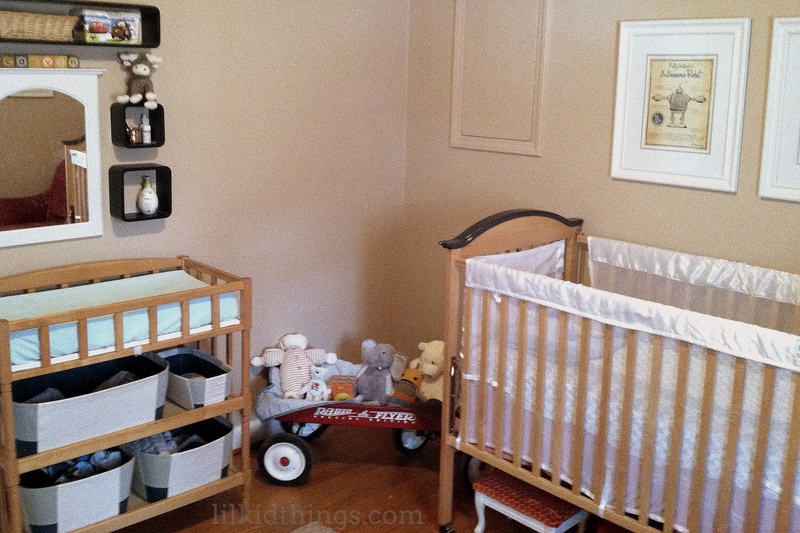 I have been wanting to post photos of Calvin’s nursery for ohh I don’t know a YEAR now? However, despite numerous attempts at taking pictures, I have never been pleased with how they turned out. His room only has one window and the lighting in there is never good for photos. I just decided to bite the bullet and post what I have before we change it! 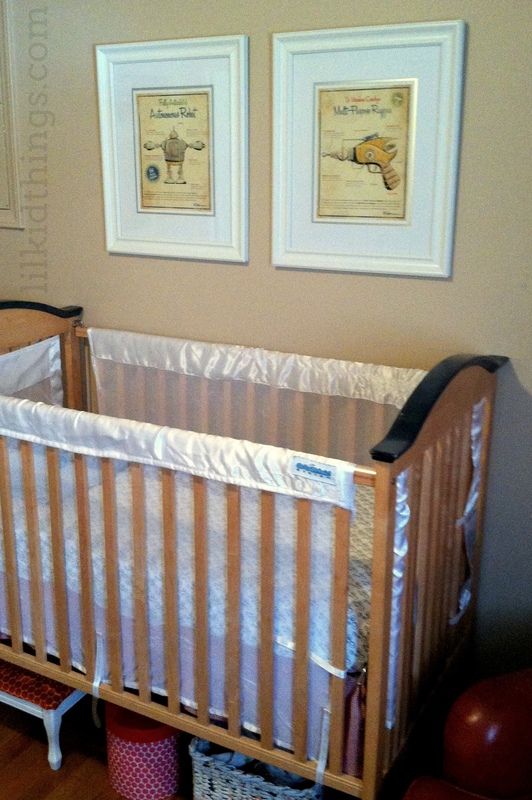 As it is, the crib mattress is already lowered and I feel like we will blink and he’ll be in a toddler bed. We definitely decorated this room on a budget. All of the furniture was handed down by family or friends with the exception of the red chair, which we scored off Craigslist for $40! The “Calvin” blocks were $1.50 each from Uncle Goose, and the retro artwork was our big splurge at $90 for all 4 prints at this etsy shop. My mom made the curtains and crib skirt for us out of the red-checked gingham and my sister gave us the red wagon. 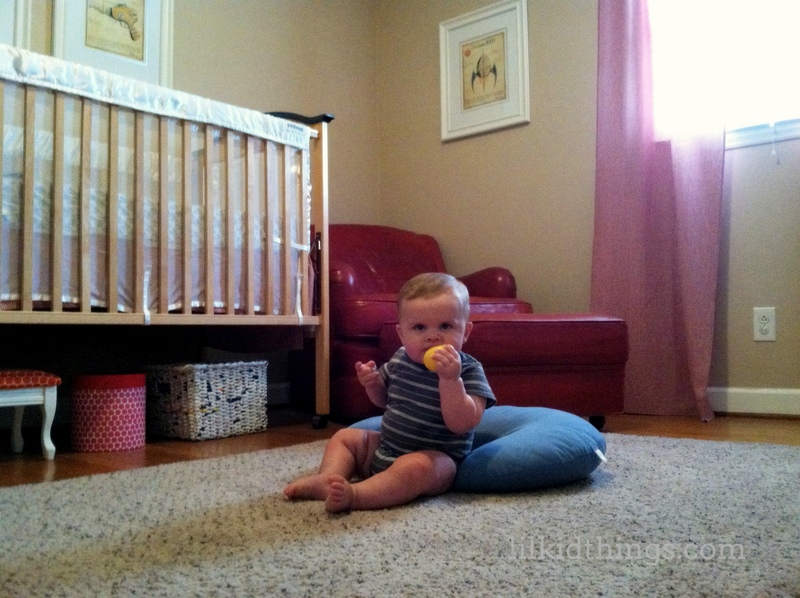 I just love how this room turned out! 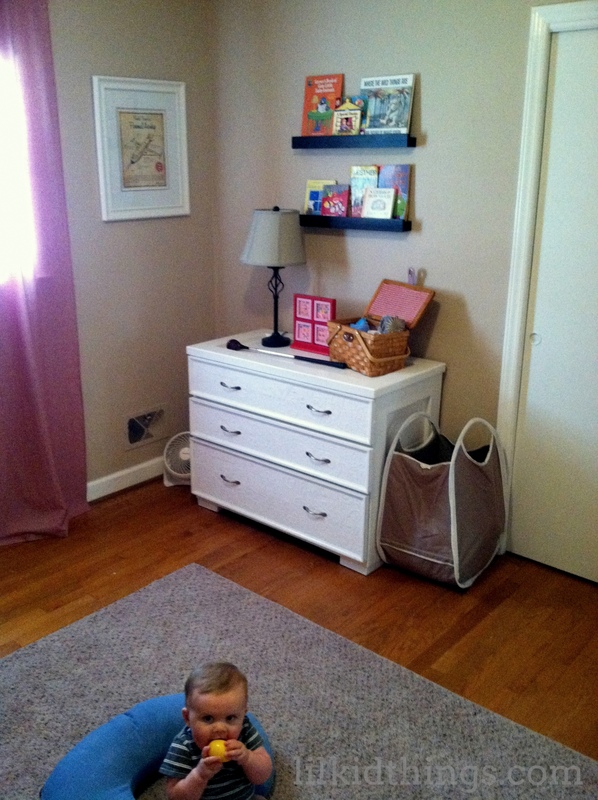 For a peek at how we used a lot of this same furniture in Oscar’s Nursery, check out his nursery photos from 2009! First – LOVE your new picture in your sidebar. SO CUTE! What brand/type of mesh do you have around his crib? I’ve got the breathable bumpers but my 4 month old acrobat is already trying to pull (with hands and feet) them down. These look like EXACTLY what I need.